Ma Peche, a Momofuku restaurant, is one of my favorite midtown lunch places. Although they recently changed up their menu, they kept the pork buns so I’m happy. Go to Ma Peche for lunch. 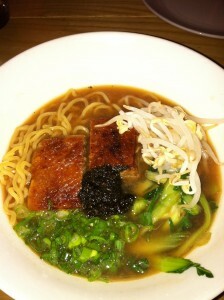 Order pork buns and duck ramen. You won’t regret it.